Some things are better small, and the Yafa Poquito, being one of the first pens I got, proved that to me. It was exceptional for my small hands at the time. But how does the set compare now? The Yafa Poquito pens have metal bodies that come in various colors. 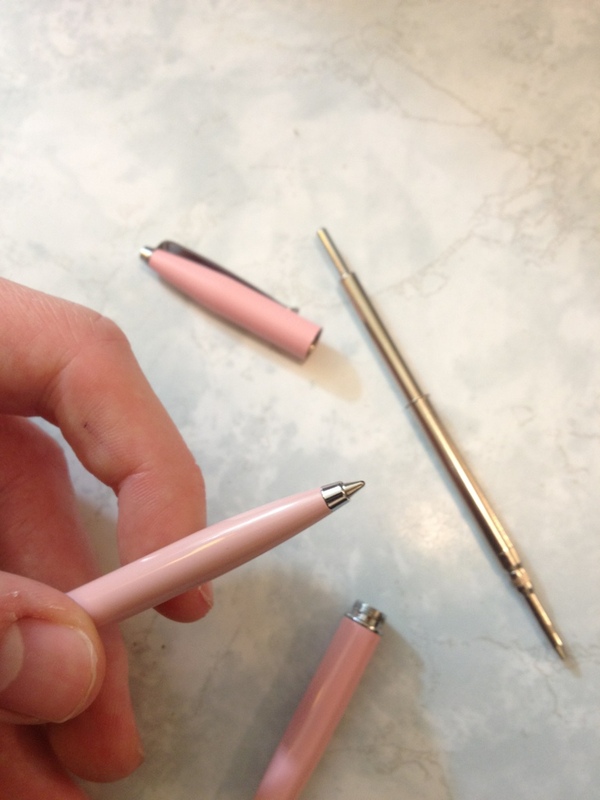 The top of the pen is a bit of a rounded-off cone, and the top of the pencil has a small steel button. The clips are tight and almost identical, with the pen’s being pointed, and the pencil’s being round. 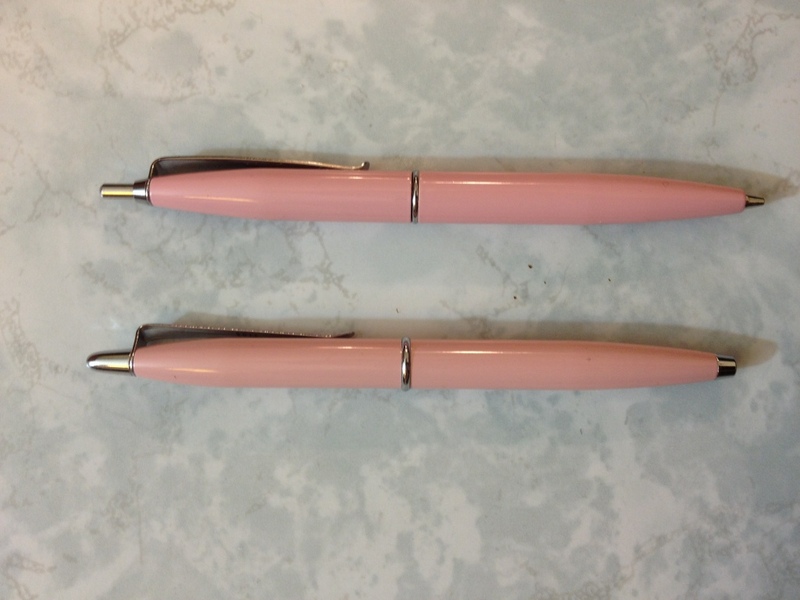 The bodies of both utensils taper from the middle to each end, with the center band being separate in the pen and attached to the mechanism in the pencil. The metal tip of the pencil is also part of the mechanism, whereas in the pen it is part of the body. The bodies are quite solid, but the paint will wear off with time and a bit of use. Consider getting a silver or brass one to fix that if you mind. The pencil takes .7mm lead, and what it comes with it fairly standard, sometimes broken in transit. The mechanism is easy to use and quite sturdy. It would stand up to a bit of abuse. There is no play once the lead has been extruded, it doesn’t have “shocks” as it were, but the mechanism is separate from the pen body, and this creates a squeak now and then. The pen is a smooth-writing fine cartridge. It is a ballpoint so there are occasional globs and hard starts. If left out for some time, the pen will be quite hard to start, but in this case a while is so long a time that one would expect it to. When it does flow, it is very smooth, and has almost no issues. It is not quite black, and waterproof, as most ballpoint blacks are. The Poquitos pack quite a bit of punch for their size, being less than 4 inches long (and they still manage to fit relatively comfortably in the hand). And while they do have some flaws, they are far from from deal-breaking for having a pen or pencil there when you really need it. They serve best as backups and are miles ahead of small pens that don’t allow one to comfortably hold them or have very little ink. I’d say that in that category, Poquitos are at least worth a look.